A Better Wrist: Do You Carry a Backup Watch? Do You Carry a Backup Watch? 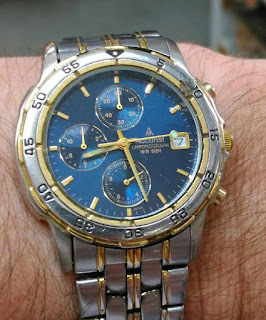 Dani Barker is glad that he carries a backup watch, an obscure but serviceable watch by Accurist, in his bag. It has happened to him and it can happen to any of us: We leave home without —gasp— our watch. Watch collector Dani Barker's backup Accurist. Not everyone carries a backup watch. For many people, their phone is a fine backup timepiece. Besides, if you forget your watch, you get to even out your wristwatch tan. Should you carry a backup watch? I’m going to argue in favor of yes, but not only because forgetfulness is an affliction that affects watch collectors as much as the general population. It’s embarrassing (if only to oneself) to twist your wrist and find there’s no watch there. It feels unbalanced to always wear a watch...except for today. It’s like walking around with only one sock on. It seems rude to pull out your phone every time you want to know how many more minutes your stomach is going to make noises until it's lunchtime. It seems is rude to look at your phone often because it is rude; but with a watch you can be much more subtle. A backup watch lets you pursue activities that might be too risky for your office dress watch. Let’s say you have an impromptu softball game after work. Wouldn’t a Prometheus Sailfish diver be better to wear to that game than the Audemar Piguet Royal Oak that you wore to the office today? A Prometheus Sailfish diver is built to take the impact of your sliding into third, but your office dress watch isn’t. You’re not going to play baseball in your suit, so why should you play while wearing your office watch? What about those days when you go drinking after work with your buddies in a sketchy part of town? A Bulova Accutron UHF (not a bad-looking watch either), rather than your Panerai will give you one less potential headache to worry about. 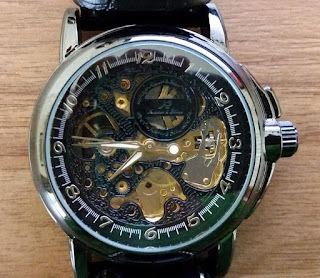 backup watch, which is its purpose. Carrying a backup watch also gives you chance for a midday change. 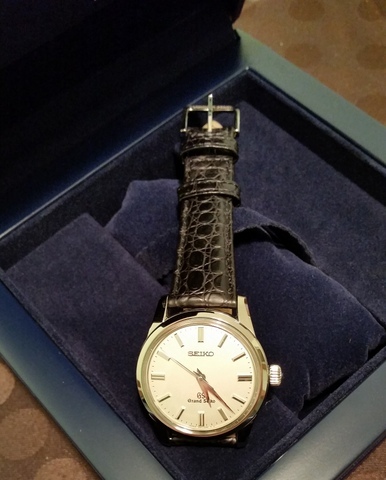 You can’t easily change suits or shoes, ties or toupees, but it is easy to switch watches. It takes 15 seconds, and unlike a tie, you always get your watch on right the first time. You can change from a white gold case dress watch with a white face and blue hands to your Omega Moonwatch. You can switch from an A. Lange & Söhne to a Nomos. If it’s a Friday, come lunch time, with only hours remaining until the weekend, you can take off your conservative Blancpain Villeret 8 Jours and put on a pure fun Harry Winston Project Z6. What should you carry as a backup watch in your bag, assuming that you’re not going to tote around something that costs six figures...or even five or four? An inexpensive automatic is one option. Because your bag is in motion at least twice a weekday, your automatic is going to stay wound and ready. What automatic to carry is up to you; the only limitations are your budget and preferences. If you’re more active after work or live in a place where sudden tornadoes or other watch-unfriendly weather are common, then something in a sporty, shock-resistant flavor might be good. I carry a cheap $40 automatic in my bag made by KS. It’s not bad-looking for $40 and works great as a backup. I prefer an automatic over a quartz watch as a backup. A backup by its very nature needs to be something that’s going to work when you need it. 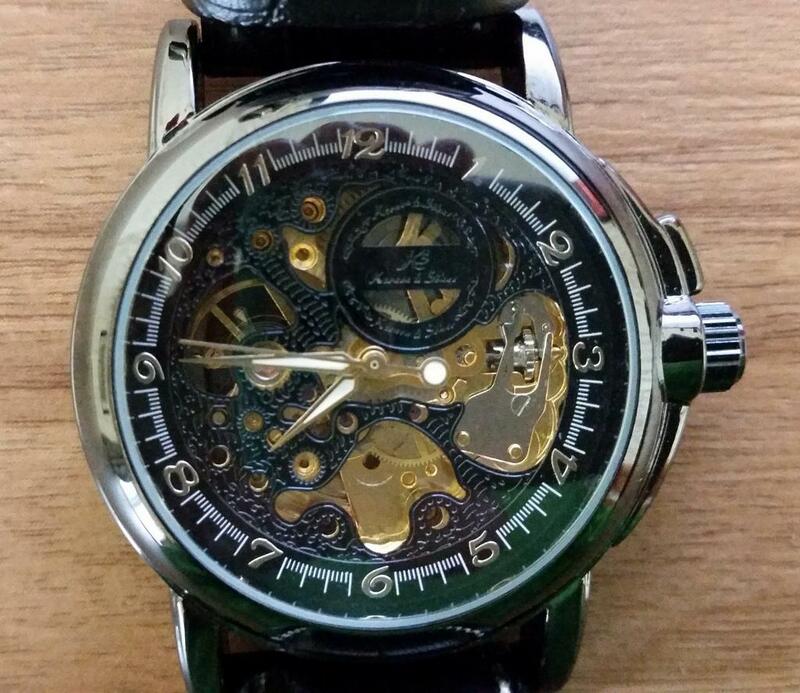 A quartz watch that lives in your bag year after year may have a battery that’s long gone by the time you put it on. A solar-powered watch is a nice alternative. Even though it will wind down after a few months of darkness, it will spring back to life quickly once you put it on and show it sunshine. Enjoy the hunt for a backup watch. 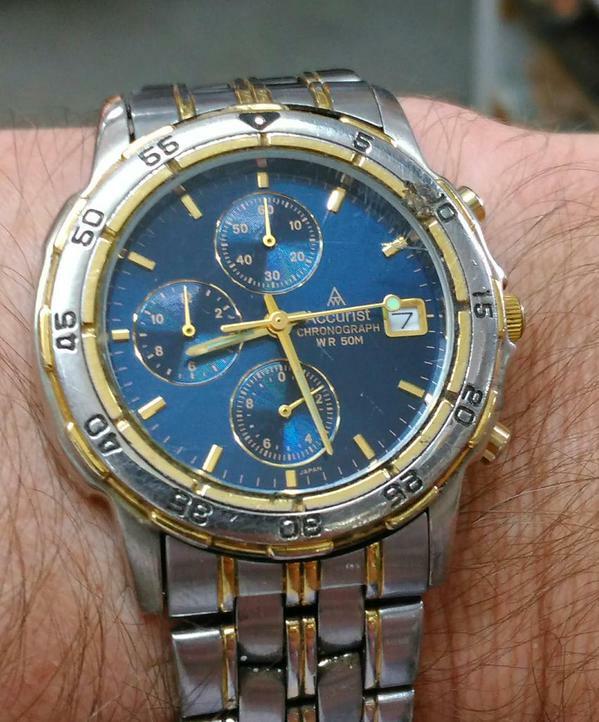 Hi could you tell me the model number of the accurist watch please. I had it years ago and would like another. Cannot find it anywhere.